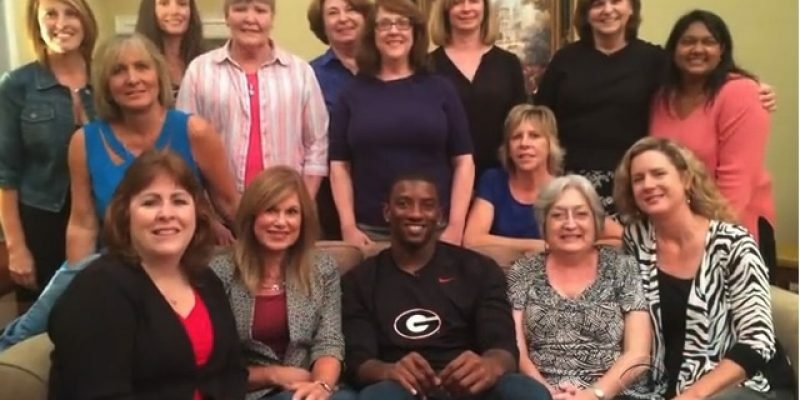 The youngest and only man in a woman’s book club in Athens, Georgia, is a star receiver for the Georgia Bulldogs: #26, Malcolm Benjamin. Malcolm Benjamin, one of the top wide receivers in the country met a woman, Kathy Bradly, at Barnes and Noble who had no idea who he was and was talking to him about a new book club that she just joined. He asked if he could join, she said she wasn’t sure if he would like it. But he went, and he did. He told CBS News that when he got to college his reading level was junior-high level, and joining the book club inspired him to improve his reading skills. Whenever he has free time now, he has a book in hand. Malcolm shared that he enjoys his friendship with these women and doesn’t care what anyone else says. But– he’s got a whole new group of fans– outside of football.